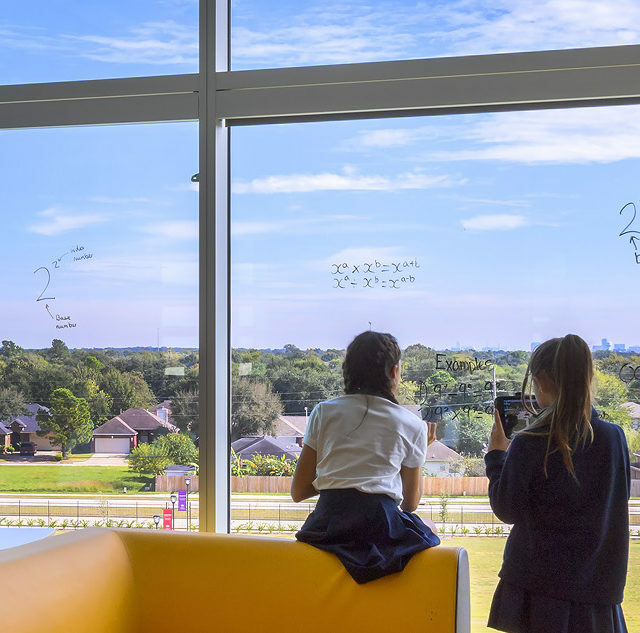 The use of glass in modern school designs can serve many functions: maximizing natural light, reducing energy costs, increasing transparency and creating sheer aesthetic beauty. But glazing—which refers to the glass component of a building—can also play a pivotal role in school security. School shootings can make it seem as though the use of glass in schools is dangerous, when on the contrary, it often aids in student safety while making for a more effective learning environment. The ability to be observed from many vantage points discourages active shooters, who often look to move in stealth to create confusion. In the event of an emergency situation, lockdown pods prevent an intruder from moving throughout the building, while interior glazing allows law enforcement to locate and disable the attacker quickly, potentially saving lives. Despite the high-profile tragedies we’re all aware of, mass violent attacks on schools remain thankfully rare. Less overtly violent incidents are much more commonplace, such as bullying and harassment. Maximum visibility and transparency helps to reduce these incidents and makes it harder for them to occur unobserved. Interior glazing helps reduce to issues of bullying and harassment. Another common issue in schools is family disputes, especially ones where a parent shows up to pick up a child without the other parent’s knowledge or consent. We find the exposure that comes with a high amount of glazing has an equally discouraging effect on these incidents. From the beginning of the design process, it is important for architects to work closely with the school district to create a security plan and determine how much glazing is appropriate or desired. I recently went through this process for the new Tri Star Career Compact in Celina, Ohio. For this facility, glazing is used extensively inside and out so that everyone approaching the building can be observed, and movements inside are similarly difficult to hide. Extensive interior and exterior glazing at Tri Star Career Compact creates a transparent environment for safety and learning. It should be noted that this is not a traditional school. 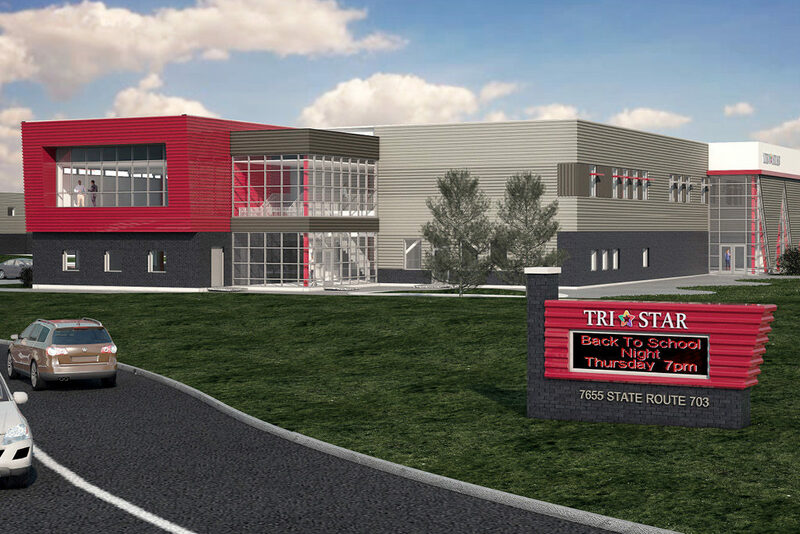 At Tri Star, high school juniors and seniors attend for half-day engagements. With so many students coming and going throughout the day, visibility at Tri Star is a priority for a safe learning environment. 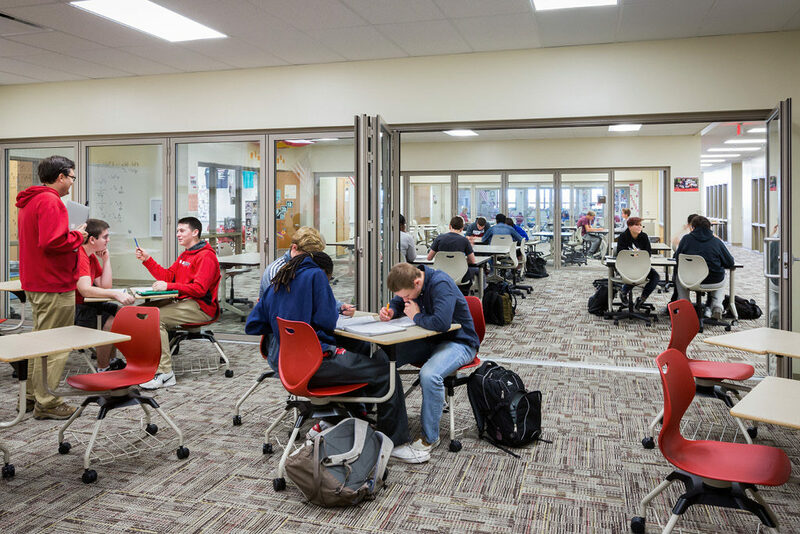 The extensive use of glass also supports their STEM programs by allowing students to easily observe the different activities happening within the building, and get them interested in exploring new fields. We work with each individual school district to customize our designs to reflect their goals, budget and safety concerns. Everyone wants schools where students feel safe and protected. Glazing is one tool we can use to create buildings that are both pleasing to the eye and to our peace of mind.